Jack Steel, first met in Man of Honour, is a splendid hero on a new and dangerous mission. 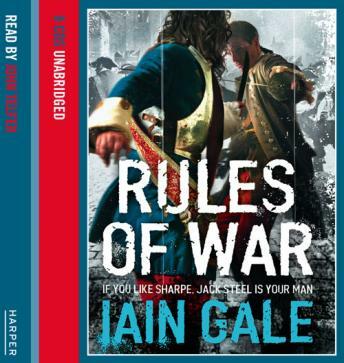 Perfect for all fans of Bernard Cornwell's Sharpe. MEET JACK STEEL - GENTLEMAN, SOLDIER, HERO. In the early eighteenth century, the British army led by John Churchill, Duke of Marlborough, were the leaders of a wide-ranging and very successful alliance. Jack Steel, maverick gentleman, superb soldier, was in the middle of any fight. Ramilles 1706. One of the great victories of the British army, a signal battle honour for the regiments who were there. But for Captain Steel, standing at the head of his Grenadiers, sinking into the swampy ground, at odds with his Allied partners and receiving contradictory orders, it was hard to see the General, Lord Marlborough's grand stratagem. Even after victory, Steel finds himself mired in further difficulties. The Allies had thought that they were liberating the Low Countries but some preferred their previous masters, the French, who at least were Catholic, and some wanted independence from all powers, while others of his fellow officers wanted out of the war altogether. Far from the battle lines he enjoys, Jack Steel is sent undercover to discover and deal with the traitors. He needs to identify the loyal locals who would help a few British advance troops into the besieged city - a dangerous mission made deadly by his identification by an old enemy of his and the brilliant malevolence of the renegade French pirate who is in charge of Ostende.